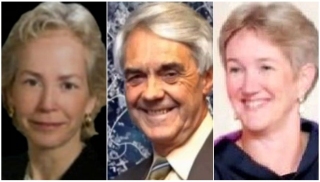 A jury handed convicted serial killer Charles Severance three life sentences Monday for the murders of three prominent Alexandria, Virginia, residents, and recommended he serve an additional 48 years in prison and pay $400,000 in fines. 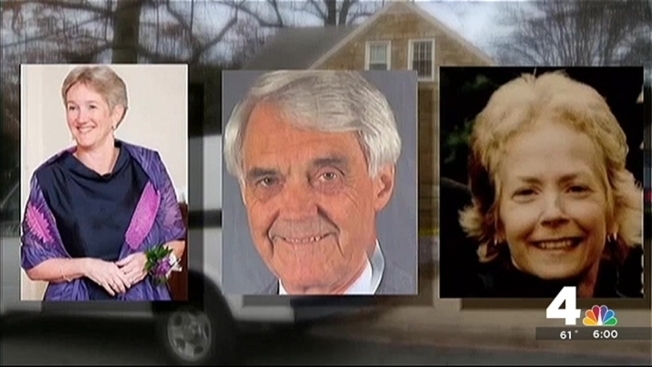 All three victims were fatally shot in their own homes over the course of a more than a decade. Earlier Monday, Severance, 55, was found guilty of all 10 charges against him, including the capital murders of Ruthanne Lodato and Ron Kirby, and the first-degree murder of Nancy Dunning. Severance automatically received life sentences for the capital murder charges. The jury also chose to recommend a life sentence in Dunning's murder. A judge will have to formally decide on the sentence in January. He had not faced the death penalty. Prosecutors said Severance harbored a grudge against who he perceived to be the city's elite after losing a custody battle over his son. He has a history of erratic behavior and also ran for mayor there twice. Defense lawyers for Severance have said their client suffers from schizophrenia, but did not seek an insanity defense. During the sentencing phase of the trial, the defense stressed Severance's mental illness, telling the jury, "It's more complicated than just an evil man." "The true story is that there is a young man with a lot of potential... and there wasn't enough to help him when he was younger," the defense said. But prosecutors told the jury, "You have delivered justice to a monster.... That’s a cold-blooded killer sitting across the room from you." A jury handed down three life sentences for convicted Alexandria, Virginia, serial killer Charles Severerance. David Culver and Mark Segraves report. Before jurors handed down their sentence, family members of the victims thanked jurors for their verdict and – at times tearfully – shared grief over their losses. "It was unimaginable that someone would come to my sister's house and shoot her," said Greg Giammittorio, Lodato's brother. Lodato was fatally shot after answering a knock at her front door in 2014. Lodato's daughter, Lucia, tearfully told jurors, "She was far from finished being my mom," adding that her mother had still been the person she'd called for advice about big decisions. Jurors were seen wiping their eyes during Lucia Lodato's testimony, after which Ruthanne Lodato's widower, Norm, took the stand. "My house was filled with love and laughter," Norm Lodato said. "Now it's hard sometimes to recall those times." Marilyn Kirby, the daughter of victim Ron Kirby, asked the jury for the maximum punishment for Severance, and Kirby's widow, Anne Haynes, sobbed as she ended her testimony, telling jurors how she got driving directions from her husband the day he was murdered in their home in 2013. "The last thing he said to me is, 'Call me when you get lost,'" she recalled. "And I'm truly lost without him." Victim Nancy Dunning's daughter, Liz, told jurors, "My family has long ago stopped believing that this day has come and it has... so thank you." She told jurors she wanted to be able to tell her sons that the man who killed their grandmother in 2003 would be in jail for the rest of life and that they didn't need to be afraid. The defense declined to put anyone on the stand during the sentencing phase of the trial. After the sentencing, Severance's family issued a statement: "A jury of his peers has rendered a verdict and we respect the verdict. We want to express our deepest sympathies to the Dunnings, Kirbys and Ladatos for their losses. There's no words to express their loss. Our family is a strong family. We will pursue and continue on." The jury of eight men and four women began deliberations late Wednesday afternoon and deliberated for a total of 13 hours before reaching a verdict Monday morning. The families of all three victims were in the courtroom when the verdict was read. Dunning's family broke into sobs in the courtroom. "Justice... it feels good," said a relative of one victim. "Violence does not win in the end, love wins," Commonwealth's Attorney Bryan Porter said. It was a series of crimes that terrified residents of quiet neighborhoods and made them afraid to open their own doors. In December 2003, Dunning, wife of then-Alexandria Sheriff James Dunning, was found fatally shot in the couple's home. For years, her murder was a high-profile cold case in the area. It was nearly a decade later when Kirby, a transportation planner, was found dead in his home. Just three months after that, Lodato – a music teacher – and her mother's caregiver were shot. Lodato died, but the other victim, Janet Franko, survived and provided a description of the gunman to police, who made a widely distributed sketch of the suspect. During the trial, Franko testified that Severance looked like the man who shot her. "Thank God she survived," Lodato's brother, Gregory Giammittorio, said of Franko during the sentencing phase of the trial. PROSECUTORS: SEVERANCE HELD GRUDGE AGAINST "ELITE"
During the trial, prosecutors shared protective orders against Severance that had been signed by Dunning's husband. One such order, dated March 31, 2000, was intended to keep Severance from his son's mother. But the defense argued that authorities jumped to conclusions about Severance because of his mental illness and strange, violence-tinged writings. An attorney for Severance said much of his writing was about history, and other writings were part of fantasy games Severance developed. Severance's attorney conceded that his client "certainly is very anti-law enforcement," but said Severance never mentioned any of the victims in his writings, although there was a profane rant against police. But a prosecutor said Severance's writings showed an obsessive focus on the type of firearm and ammunition used in the killings. Excerpts from his writings also include a piece saying, "murder on my mind and my mind on murder" and a poem – "Knock. Talk. Enter. Kill. Exit. Murder. Wisdom," the prosecutor said. One of Severance's friends testified Severance seemed sad about losing custody of his son, but that he had never seen Severance angry. Another friend said he didn't believe Severance is the man who killed the three victims, saying charges are absurd and unfair. Several of Severance's friends and his brother testified that he could not be the man pictured in surveillance video following Dunning shortly before she was killed, sharing a photo of what he looked like at that time. Prosecutors gave much attention to the ballistics evidence in the cases. Firearms expert Julien Mason testified that the bullets used in the three murders were the same type, one rarely seen in the lab. Mason said he'd only seen it in criminal cases three times during his career. All three were the murders of which Severance was accused. Mason testified that a North American Arms mini revolver could have fired the bullets – a type of weapon that Severance had owned years ago. More recently, he'd gotten his then-girlfriend buy two of them. Those two guns went missing after Severance moved out of her home a month after Lodato's murder. Two shell casings that match the weapon were found in the home's garage. 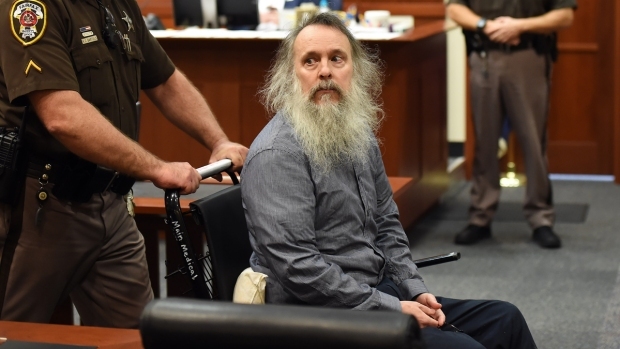 Prosecutors wanted to convince jurors that Severance used his favored weapon in the murders, although defense attorneys underscored how widespread that type of ammunition is. The defense asked Mason if other guns could have fired the bullets, and he said yes. Mason also said that the bullets from the three murder scenes were likely not fired from the same gun. He said the microscopic markings left on the bullets collected were different. No guns ever have been recovered in the murders.